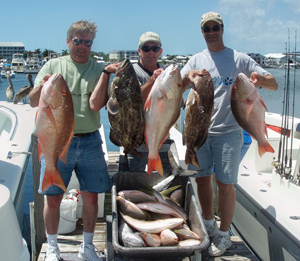 While there are many interesting and exciting pastimes to explore during your time in Key West, fishing Key West may be one of the most rewarding. Many species of sea life call this abundant and beautiful region of the world’s oceans Home, such as Skipjack Tuna. This article will provide basic data, such as species description, habits, and the techniques best adapted to snaring them for yourself. Measuring approximately 30 inches in length once they reach maturity, these fish are among those that reproduce and mature most quickly, making them a desirable commercial species. This spindle-shaped fish weighs about 18 kg, or about 20 pounds, once they reach their full growth. They have two dorsal fins, one with spines and one without, and three keels. Typical of many ocean fish, their undersides are silver and their backs are a deep blue, in order to baffle the efforts of predators. Another key feature is a dark stripe that runs along the corelet to the tip of the tail. As one of the widespread ocean species, Skipjack Tuna can be found in both the Pacific and the Atlantic Oceans. They prefer to school and travel along the lines of confluence, where warm and cool waters meet. While they are commercially harvested, much of this occurs in the Pacific Ocean or in the cooler regions of the Atlantic. 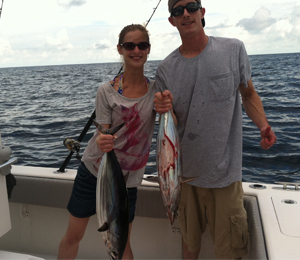 Hence, the Skipjack schools are an abundant source for individuals fishing Key West. Because they are a medium-sized fish, they do have a variety of predators that favor them as a prey species. Sharks, billfish, sea birds, human beings, and larger tuna commonly feed on this species. Because effective open-water fishing tactics resemble the tracking methods used by hunters of terrestrial species, there are several key habits and characteristic behaviors that make useful cues for fishing enthusiasts. Skipjack tuna tend to linger near the surface of the water during the day feeding on bait fish at dawn or dusk. An excellent indicator of a school may be sea birds that feed on the same varieties of fish as well as the Skipjack themselves. Unusual habits of these fish can also be an excellent way to track a rich fishing spot. They are often seen leaping from the water in pursuit of prey. As well, Skipjack favor shade when they linger near the surface. They are often found schooling ahead of storms in the cloud shadows. Fishing enthusiasts can use these tendencies to their advantage. Much of the excitement of open water fishing comes from the challenge offered by the fish. 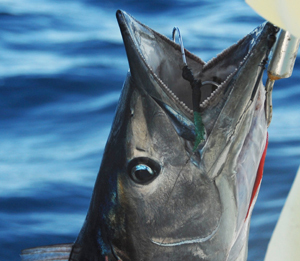 Skipjack are strong swimmers and will provide an ample fight. It has been noted that all species of tuna tend to offer formidable resistance and exhibit a seeming confidence in their eventual escape. Because they make little pretense of jumping or thrashing once they’ve been hooked, these fish are fantastic opponents. Irrespective of size, all tuna are extremely strong swimmers. Once they’ve been snared, they will often simply lead the angler a merry chase, forging ahead and often seeking to plunge straight down to safety. This is largely what makes them such a delightful target species for enthusiasts, who must exercise patience and persistence once they’ve got a Skipjack on the other end of their line. 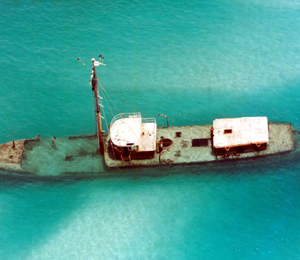 Fishing for Skipjack in Key West is an endurance sport. Much as a marathon runner must conserve and plan their strategy, these fish require an angler to utilize every ounce of skill and strength.